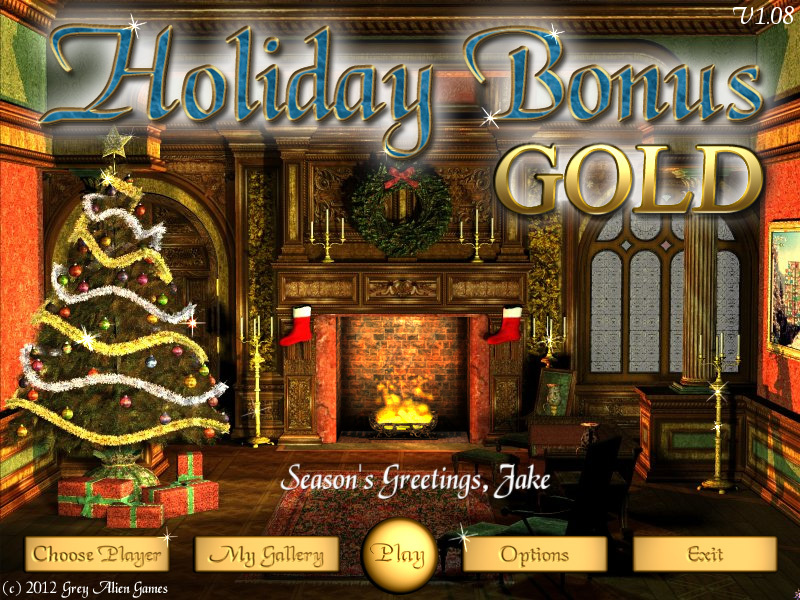 Grey Alien Games - The home of Regency Solitaire, Spooky Bonus, Spring Bonus, and Holiday Bonus. Fun PC and Mac Games for everyone! 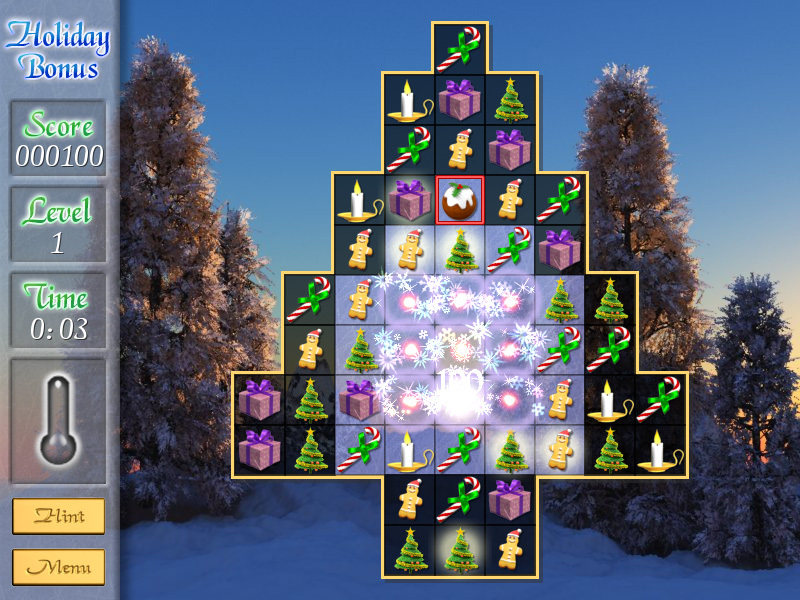 The best holiday match-3 game ever made is back! Now with 100% more levels! 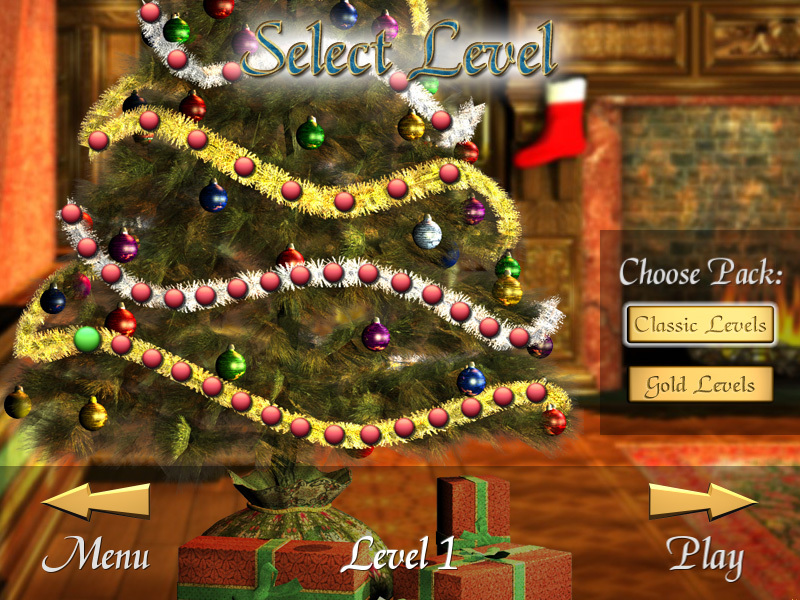 Holiday Bonus GOLD contains all the original levels from the classic version as well as 55 brand new levels for your delight. Pour yourself a glass of eggnog, grab a mince pie, and get stuck in. 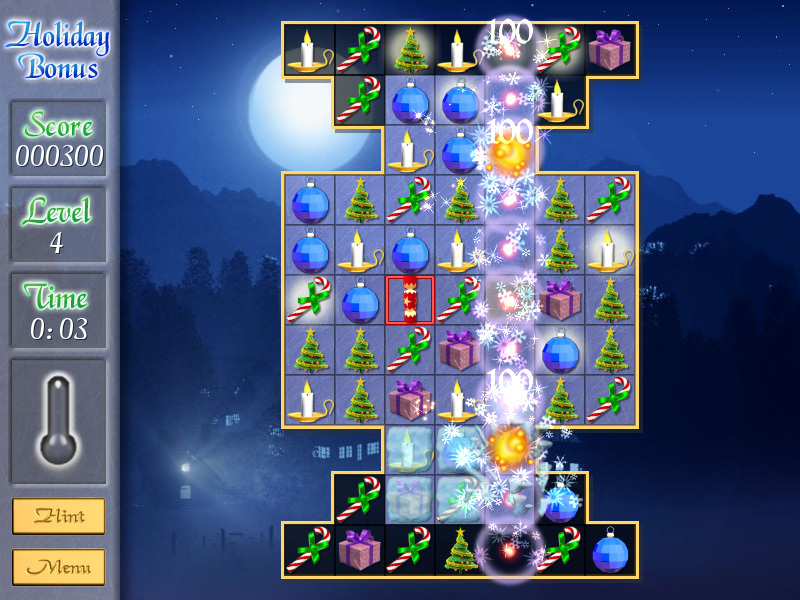 Chill out with this cool winter-themed puzzle game from Grey Alien Games - it's slicker than Santa on an icy roof! 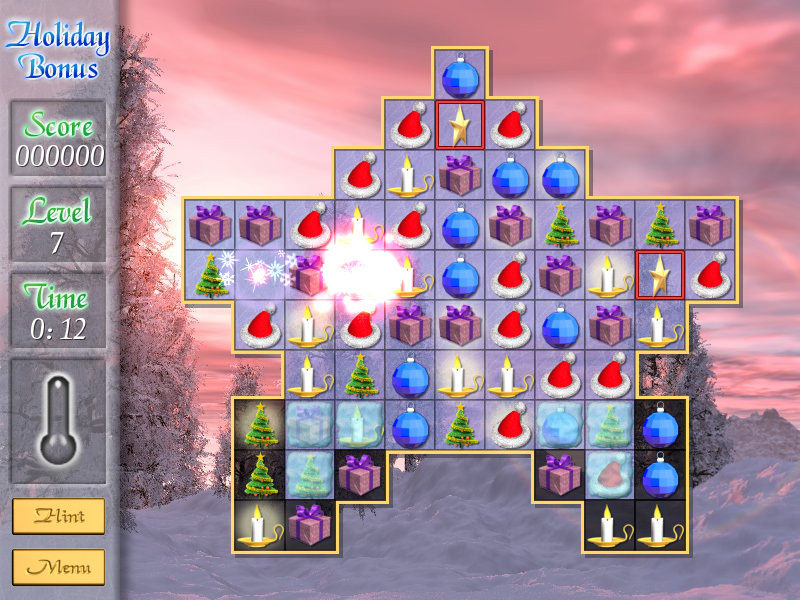 Line up the dancing seasonal shapes against stunning snowscape backgrounds with an epic music score and work your way up the decorated tree. 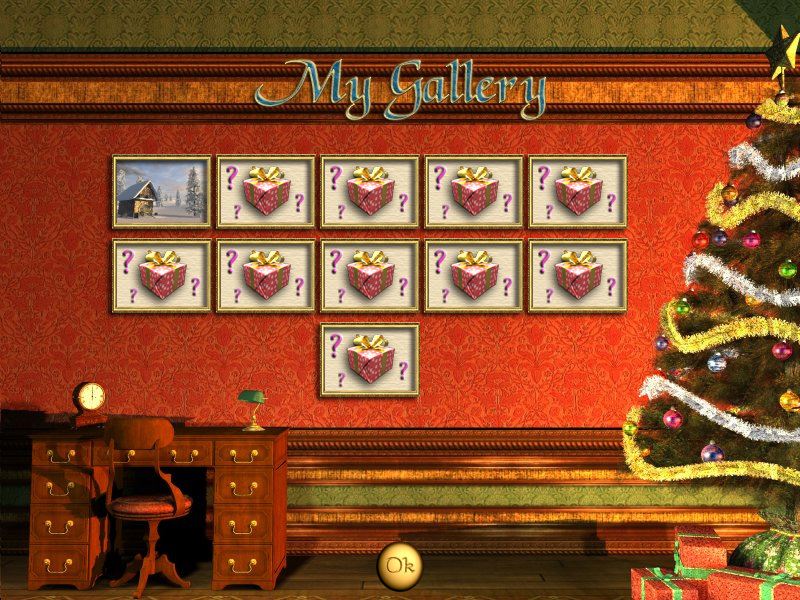 You can gather winter scenes in your gallery and even display them on your desktop. 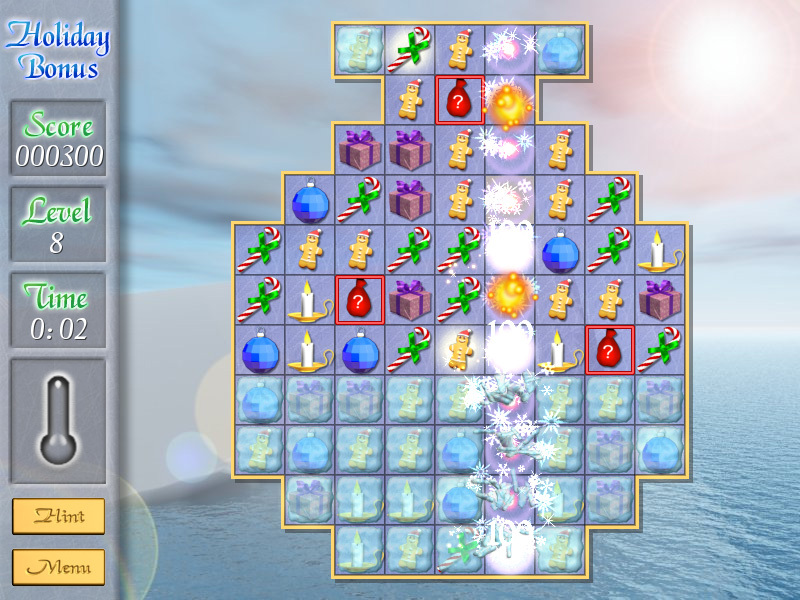 Make the right moves and your power gauge will build a bigger, brighter bonus blowout! This one's gonna snowball...so don't miss the festive fun! 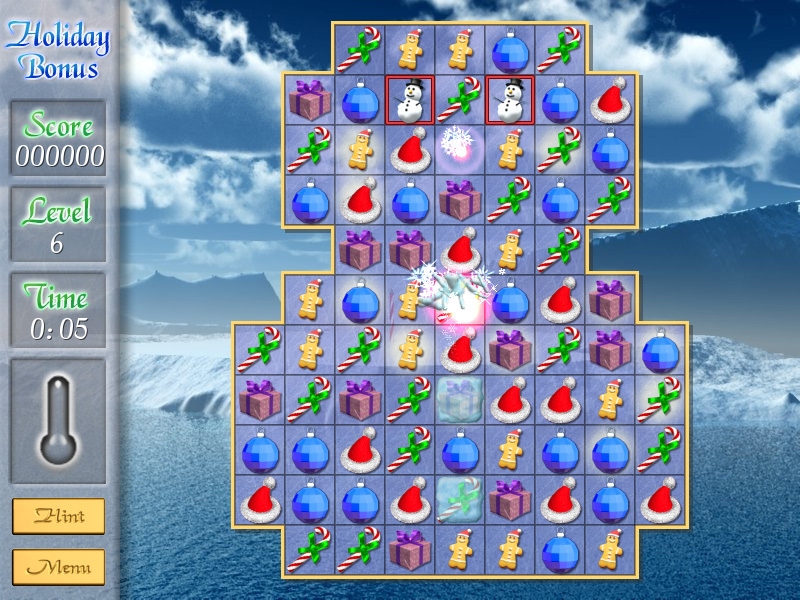 - Crazy bonus items including Santa's sack!